The city of London is a very busy area, with businesses, offices, factories and residential properties. The area is densely populated and with new buildings being constantly added there is a risk of too much junk and rubbish spilling onto the streets. At times the City’s streets are full of commercial and residential waste, which often clogs up the path way for pedestrians or even completely obstruct the road depending on what is being dumped. The City of London has now introduced a scheme for both residential and commercial bagged waste, recycling and loose cardboard. 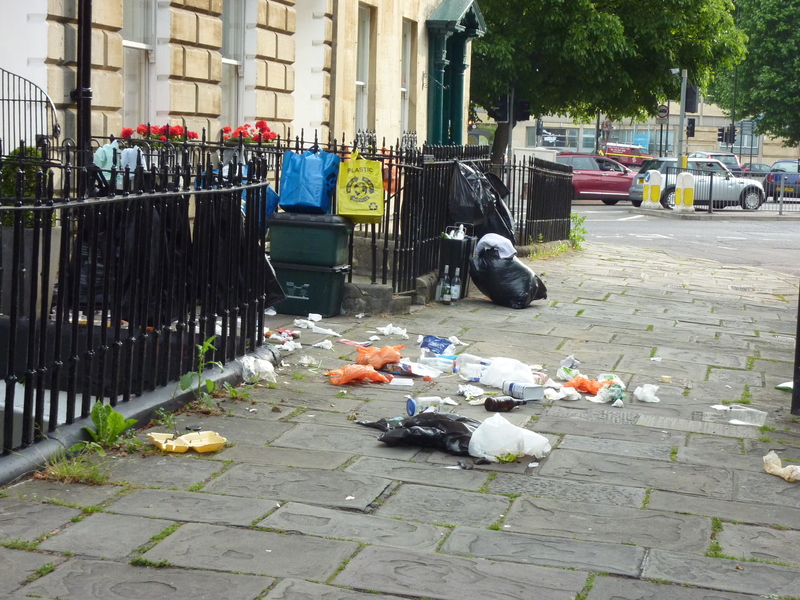 With the new scheme in place, all businesses and residents are restricted from leaving out waste and recycling materials outside of the collection hours on the public road or footpaths. The scheme was initially designed to improve the quality of the public roads and footpath for people who are visiting or residents living within the area as well as help the environment. Enforcing this scheme has reduced the opportunity for loose rubbish to be regularly piled outside properties, it also diminishes the amount of loose food/garbage that is on the road or footpath which can help reduce the amount of pests infestation. The scheme also reduces the number of obstruction which increases access and improves the safety for the people and other users. However, the changes only effect the residents and businesses that put out bagged garbage, loose waste and recycling materials on the public road or footpath for collection. This scheme does not effect residents or businesses that use wheelie bins or internal compactors to dispose of their garbage. Between 6pm and midnight, any waste placed out by businesses for collection will have to be collected within a two (2) hours period from placement time. Residents will have to place their waste out for collection between 6.30pm and 7.30pm. If you require waste removal, appliance removal or office clearance in the EC1 – EC4 area, feel free to contact us for a no obligations quote.